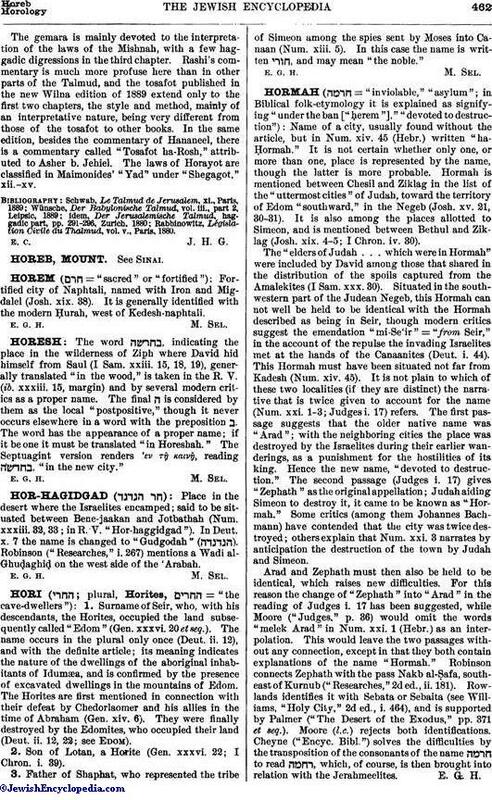 Place in the desert where the Israelites encamped; said to be situated between Bene-jaakan and Jotbathah (Num. xxxiii. 32, 33; in R. V. "Hor-haggidgad"). In Deut. x. 7 the name is changed to "Gudgodah"( ). Robinson ("Researches," i. 267) mentions a Wadi al-Ghuḍaghiḍ on the west side of the 'Arabah.